TBD. I've pre-ordered a pair and they should be delivered in the Fall of 2014. 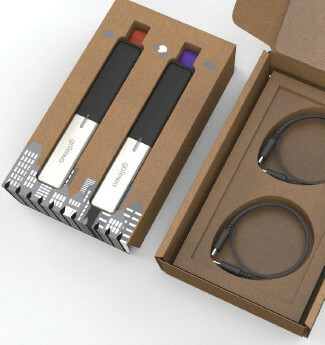 As of this writing (Aug. 2014), you can pick up the goTenna for $150 per pair. They are only sold as pairs. Right now they come as a purple/orange pair or a green/blue pair. 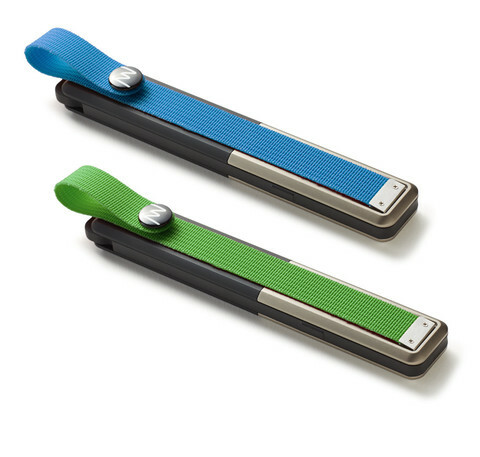 When goTenna starts shipping in the Fall of 2014 Winter of 2014 first quarter of 2015 Summer 2015 2015 holiday season, I'll do some real-world testing on distance and different conditions and see what kind of range I can get. I hope they live up to their promise to deliver text messages between two cell phones without using Wi-fi or cell. They send messages directly from one radio to another. On the goTenna FAQ, you can learn they aren't a mesh netowrk, can receive messages when your phone is off and many other things. How does it work? 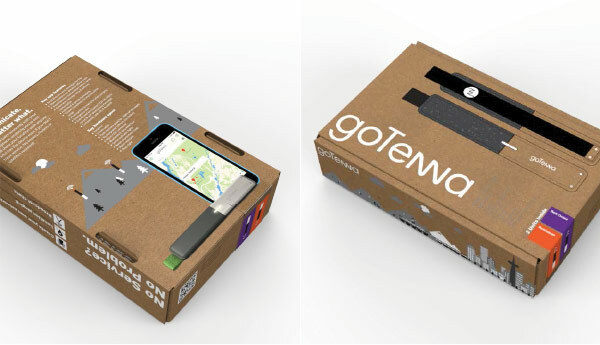 Take two smart phones, using Bluetooth, pair each one of them to a goTenna. With the free app you'll be able to send text messages between the phones - even if you don't have Wi-fi or cell connections, yes in airplane mode too. If the goTenna you are trying to reach is out of range, it will keep trying to send the message. If your phone is off the goTenna can still receive a message for you. Pretty cool, eh? I hope so. It is good to know that goTenna didn't forget about me, but I hope they send me more than the postcard I got today! I decided to check out their website again. The FAQ has changed to saying it will ship in Fall 2014 to Winter 2014. Hopefully they can deliver before the end of the year. goTenna isn't afraid to send bad news, but someday I hope that changes. They sent an email today with a sneek peek at the packaging and an update on when they will ship. I hope you didn't pre-order for Christmas. "We're currently tracking to deliver pre-orders by end of Q1 early next year, fulfilling in the order in which they were placed." Maybe one of these quarters they'll ship instead of slip. I don't really care about the package - I'm not a big fan of "unboxing" videos - I want a product. An eamil offer from goTenna included this update "We're still tracking to deliver around March next year". The last update said Q1 2015. March is as late as you can get in Q1. I won't hold my breath. I gave up. I decided my money would be better spent on ham radio. GoTenna was great about canceling my pre-order and refunding the money. When it finally ships, I think it will be a product that will serve some well, but I decided it wasn't for me. I wouldn't mind playing with a pair, but a pair of ham radios, license, good antennas and spare batteries are more economical than the GoTenna. Another update from GoTenna. Shipping is pushed to Summer 2015 for a handful of reasons - better antenna, more efficent encryption, more rugged, etc. Here is the biggest reason of all: "And yes, we clearly see a light at the end of the tunnel. In the meantime, we're focused on making this thing absolutely perfect.". It is hard to ship perfect. It is hard to ship something you know you can make better, but at some point it has to ship. It will never be perfect. I forgot all about GoTenna until I saw a blog post from them about battery usage on the iPhone. It was interesting, but being reminded that they haven't shipped anything makes me happy to have my money back. It will be interesting to see where they go, or when. "Currently we are on track to fulfill all pre-orders in time for the 2015 holiday season." I still think they'd be fun to play with, but not sure they are worth the money.